Everyone loves receiving gifts during the holiday season. Giving is pretty fun, too, though. I know I love choosing presents my girls will love and use, and watching their excitement when they open their gifts is priceless. In addition to blessing your loved ones this year, consider giving the gift of play to kids around the world thanks to these seven tips. Kids shouldn't have to play in junkyards or on the streets, but there's often nowhere else for them to play if they live in an impoverished area. KaBOOM! builds playgrounds in these neighborhoods and has served more than eight million kids since 1996. Your financial donation inspires communities and gives kids a safe and fun place to play. Playworks believes in the power of play. They use financial donations to train and equip people to deliver top-quality play to children all over the world. Your donation can provide a playbook of 400 games to schools or train a junior coach. Because Playworks is one of 2015's top-rated nonprofit organizations, donate with confidence because your money is going to a good cause, which is pretty cool in my opinion! In some homes, kids give away two items for every one item they get. I love this idea because it encourages kids to be generous and prevents overflowing shelves, bins, and toy boxes of stuff no one uses. A local homeless shelter, orphanage, or thrift store will gladly accept donations of gently used toys, games, and books as your family shares a little love with kids in need this holiday. Most community parks, playgrounds, and nature preserves rely on donations to keep their grounds maintained and programs running year-round. Give a financial donation this holiday or set up a time for your family to clean up trash, pull weeds, or paint picnic tables. Your donation keeps outdoor recreational areas open and accessible for families. 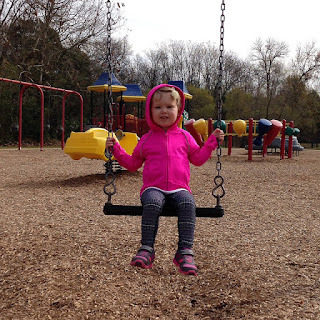 It's impossible for kids to play outdoors during the chilly winter months when they don't have a warm coat. Since my girls grow like weeds, I donate their gently used winter coats to Operation Warm every year. This way, other kids can be warm as they enjoy playing outside after school or during recess. More than a million kids around the globe receive Operation Christmas Child shoe boxes every year. Those boxes include toys, games, and hygiene items. Get your kids involved in filling boxes for kids their age, and share the fun of play with others this holiday. My kids take new toys for granted, but some kids don't receive toys for the holiday. When you buy something for the kids in your life, purchase an extra gift or two for Toys for Tots. Most department, big-box, and grocery stores feature Toys for Tots bins where you can donate new, unwrapped toys. More than 97 percent of your donation helps less fortunate children, and that fact makes Toys for Tots a top-rated charity that focuses on play. Your kids, like mine, may take play for granted. This year, you can make a donation that gives play to kids who need it. Which of these play organizations will you and your family support this year?